Work-to-Live sponsored and participated in a conference held by OK International to address disease from Silica dust. Our role was mostly to document the discussion around Silicosis in the developing world. We hired a film crew from India who showed up with 12 people! I've never produced a film before, so managing 12 people proved to be a challenge. Not to mention the fact that I'm in India and don't speak Hindi. Hopefully after some editing we will have some compelling footage and this will be a jumping off point for awareness around occupational health issues. OK International did a great job bringing parties together to discuss awareness and possible solutions to the impacts of Silica exposure in the developing world. Participants included Indian NGOs, Labor Minister Shri Harish Rawat, The World Bank, The Public Health Foundation of India, The World Health Organization, an advocate from the Supreme Court of India, and a Medical Director from the Central Lobor Institute. 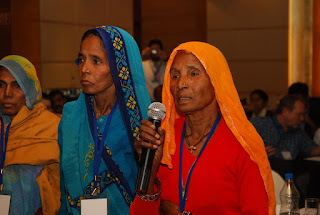 A New Dehli Based NGO even brought Silicosis victims to plead for government assistance. It was a great group with heated discussions. NGO's challanged government officials for not doing their jobs. The need was discussed for confidence building by regulatory authorities. It was also pointed out that employers in India do not think of employee health as an investment but as welfare. At times the discussions were really depressing. The people who work in the unorganized mining sector are unskilled workers. It's hard to present the economic advatages to employers of keeping workers healthy, when those workers require little or no training. On the bright side some engineering efforts have led to effective and affordable solutions. There is much more to be said about the conference and I hope to blog about it more. But I'm going to relax for a few days and gather my thoughts. My job is to make Twitter a better place to work; it's a fabulous place. Some people don't see the connection between my work at Twitter and my non-profit, but I'm essentially trying to do the same thing in both positions: build trust. What I've learned so far is that things go wrong when we give up faith in human reason. Why are we so ready to abandon trust in each other as a requirement in our daily interactions? The hardest thing I deal with when I go to India is the resistance towards non-profits. People I work with in the mining sector don't seem to believe that I am trying to improve the world without getting paid for it. India's economy is fiercely competitive. The idea that you shouldn't get the most out of every situation is unfamiliar to many people I meet. People I have encountered in public health have a hard time trusting anyone. This makes working together for the common good difficult and frustrating. Very rarely, I see the same thing happen at Twitter. Things go really well until we stop trusting each other. Once you lose trust, it becomes almost impossible to get back. Competition can be good, but when it hinders teamwork, it can be the end of an organization. Working together requires dedication to mutual respect. Fortunately, we still have that, and with some luck and hard work, we can keep it. Some companies focus on bringing an organization together by rallying against their competitors. This might bring people together as a team, but it is based on a ethos we are trying to distance ourselves from. At Twitter, we often get excited about coming together to make something amazing. I believe that's what we are doing now and hope that, as we get larger, it will continue to be the focus. Culturally, this is our most valuable asset. This December, I hope OK International, Work-to-Live, Doctors, The Public Health Foundation in India, and several others can sit down and work towards the common good. I don't want to talk about compensation for victims or politics. I want to address the small changes that can be made in working environments to mitigate disease. I want the construction companies who are in attendance to trust that we want what's best for everyone involved. Sometimes, human nature surprises me and motivation goes beyond selfishness. I sincerely hope this will be one of those times. As we get ready for the big conference this December we finally decided on a logo. Let us know what you think! A big thanks to Maggie Klousia and Phil Pascuzzo! Ship-breaking along the Indian coast has been increasing exponentially as the global economy has continued to decline. "Idle ships are a huge financial burden, so ship owners don't have any option but to get rid of their ships, even if it means scrapping them years ahead of schedule," said Vishnu Kumar Gupta, joint secretary at the Alang Ship Breakers Association. Alang has received more than 125 ships in the past three months, compared with 136 in all of 2007 and 2008, Mr. Gupta said. Ship-breakers expect the total this year to reach 250. "In the past five to six years of the boom, very few ships were scrapped, and we were working on zero margins, as there was intense competition for the few ships that were coming in," Mr. Gupta said. The practice of breaking down decommissioned ships can lead to a variety of occupational injuries and asbestos-related diseases. Several activist groups have been paying close to this recent increase and have been complaining that existing workplace safety regulations are becoming more relaxed as worldwide demand for scrap metal increases. A new study from the the Finnish Institute of Occupational Health has found that longer work hours is leading to widespread decline in cognitive functions among employees working overtime hours. The study, "Long working hours and cognitive function: the Whitehall II study" was published in the February issue of the American Journal of Epidemiology. The study was performed on over 2,000 British civil servants and found disturbing losses of mental abilities among those working upwards of 40 hours per week. 2214 middle-aged British civil servants participated in the present study which was a part of the Whitehall II study. They took five different cognitive tests in 1997—99 and again in 2002—04. When compared with employees with normal working hours (35-40 per week), employees working very long hours (> 55 hours per week) and those with an average length of working week (41—55 hours) performed worse in a vocabulary test already at the baseline study. At follow-up, both over-time groups performed again worse in a vocabulary test and also had a declined test score in a cognitive reasoning test. This, of course, was in the UK. Can you imagine the loss of cognitive skills among workers in countries without adequate overtime legislation and enforcement? "For the past eight years, the department's labor law enforcement agencies have struggled with growing workloads and shrinking staff," the 134-page document said. "The president's budget seeks to reverse this trend, restoring the department's ability to meet its responsibilities to working Americans under the more than 180 worker protection laws it enforces." The McClatchy Newspapers article cites a recent investigative article that appeared in the Charlotte Observer as evidence that additional funding and enforcement by the agency is desperately needed in the poultry industry. The article found that laxed government enforcement has caused increasing numbers of workplace injuries to go unprotected and is putting consumer products at risk of disease contamination. Though Work-to-Live is focused on workplace health in India and other developing countries, it is great to see the leaders in our own country working to restore the image of a neglected agency. It allows American nonprofits to seem less hypocritical when we are advocating increased OSH funding and regulatory enforcement in the developing world. A new policy by the Union of cabinet of India aims to reduce workplace stress in Indian offices. While most previous OSH legislation in India has focused on workplace safety in mines and factories, very few pieces of legislation has centered on white-collar OSH issues. This current piece of legislation pays particular attention to placing restrictions on workplace size. OSH legislation often times means very little if not backed up by swift government action. In India, sadly, this has been severely lacking with previous pieces of legislation. It's our hope that at the very least this government action brings more attention to these critical OSH issues that are growing in importance as India's economy becomes increasingly dependent on white-collar jobs. Perry Gottesfeld, the Executive Director of Occupational Knowledge International, recently gave an interview on the effects of lead poisoning in developing countries. The program focuses on exposure to lead batteries. Below is a short excerpt. 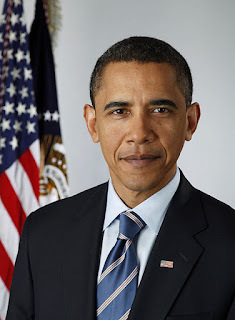 There are 120 million people who are overexposed to lead around the world. That's three times the number infected by HIV AIDS. And this problem is going largely unnoticed, under the radar screen, because people are not aware that the common battery used in vehicles and other appliances are causing severe poisoning around the world. The International Journal of Occupational and Environmental Health was just released yesterday. There are no stories on Silicosis or India in the current issue, but there is a pretty excellent study on workplace injury in a Vietnamese workers' commune. There's also an editorial praising the Big Three American auto companies (Ford, GM, and Crysler) for their efforts to educate workers on the harmful affects of asbestos exposure through brake replacement and manufacture. It's rare to see an OSH editorial praising large corporations for their efforts. This one, of course, is pretty timely given the PR nightmare these companies have been through following the December bailout hearings. Access to the current issue and the journal's archives are free, but the site does require user registration. A new study published by a team of researchers at the University of Cologne in Germany recently completed a study to determine if there is a link between silica exposure and lung cancer among workers who are not suffering from silicosis. They combed through past studies published over the past 42 years on the subject. Their findings were inconclusive, but they feel that additional research is needed to explore if such a relationship does exist. The UK Government recently launched a new campaign to better educate small businesses on the harmful effects of silicosis. Many small contractors are still unaware of the dangers of silica dust, the Health and Safety Executive has warned. Dr Robert Ellis – from the regulator's chemicals risk management unit, which is leading the HSE's "Clean the Air" campaign – said despite a marked increase in awareness of silicosis across big business, he found smaller firms were often still uninformed. The campaign will rely primarily on over 200,000 leaflets and 3,000 DVDs to help inform contractors, especially small construction companies, of the dangers of inhaling crystalline dust. Still, many British public health professionals worry about the effectiveness of such a campaign stating that smaller companies tend to get lost in the shuffle and usually lack the infrastructure that larger companies have to get the information out. In most developing countries, this challenge is even greater. India in particular is seeing most of its economic growth from SMEs (Small and Medium-sized Enterprises). The success of this campaign could provide a good model for a similar education campaign in developing countries despite there being substantial differences between the two economies. A new report details how worksite clinics are gaining in popularity in the US. The survey, by Mercer LLC, also found that 14 percent of these clinics are providing primary care to workers. The growing expense of health care plans is cited as one of the main reasons for this increased dependence. Perhaps, the most telling part of the study was the services that the companies are considering to add. The services that the greatest number of respondents said they were considering adding to their clinic offerings were health screenings (71%), immunizations (61%), urgent care for nonoccupational injuries (56%) and chronic disease management (50%). Though this is a US study, it's interesting to see that the trend towards more onsite facilities is taking hold. Many of these findings at the US-level could be applied to Indian companies. After all, it was not that long ago that large manufacturing companies in the US and other parts of the developed world provided such services to their employees before the onset of managed care in the 1970s. HazMap, an awesome site developed by the National Institutes of Health, was listed in the Wall Street Journal's annual list of top new (or improved) health sites. HazMap includes a multitude of chemical profiles of agents that pose a potential occupational risk. The site also includes profiles of high risk jobs. According to the Journal's article, "The site recently added 180 new chemical profiles, and now covers more than 2,000 chemical agents and 225 occupational diseases. Consumers can search by symptoms or diseases". Other health sites that received mention include: Consumermedsafety.org, Why Not the Best, Everyday Health, and HealthCentral. Among them, only HazMap seems to focus on occupational health issues. The most helpful aspect of the site to me is this form tool that helps to identify occupational diseases by job and symptoms. Are you interested in Esther Duflo, an economist at MIT, recently received an honorable mention in an Economist article on young economists. Duflo's work has focused on moving development economics away from concentrating solely on policies, but instead to approach the discipline through field work at the community level. She and her colleagues conduct randomized trials of development projects and are often surprised by many of their findings. In one study, Ms. Duflo and her colleagues showed that mothers in the Indian state of Rajasthan are three times as more likely to have their children vaccinated if they are rewarded with a kilogram of daal (lentils) at the immunisation camp. The result is useful to aid workers, but puzzling to economists: why should such a modest incentive (worth less than 50 cents) make such a big difference? Immunisation can save a child's life; a bag of lentils should not sway the mother's decision either way. While many economists are skeptical of Duflo's methods, saying that there is no way to show why the project yielded such results, only that it on fact happened. This results-focused approached to economics would, however, be extremely helpful to our future projects in Rajasthan. Here is a listing of several of Ms. Duflo's most recent papers.